For sale, small villa detached on three sides, with ample indoor and outdoor spaces in a small village with wonderful views of the city, 5 minutes from the center of Alzano Lombardo. Built with high quality materials and fine finishes such as: exposed oak beams on both floors, first choice ceramics, rustic brushed oak flooring and internal staircase, wood balcony, own heating system, Gewiss Chorus silver electrical system, and fireplace setup. Natural stone exterior, laminated oak windows with thermal break double glazing, white lacquer interior doors, and large wood covered garage door. 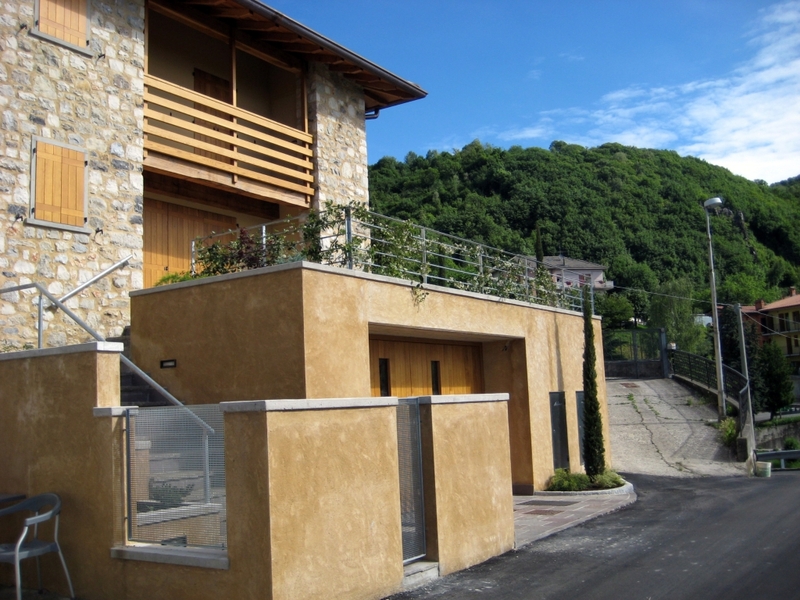 The property is surrounded by a large outdoor area paved with porphyry and a planted garden.